Accurate flow measurement is an essential step both in the terms of qualitative and economic points of view. 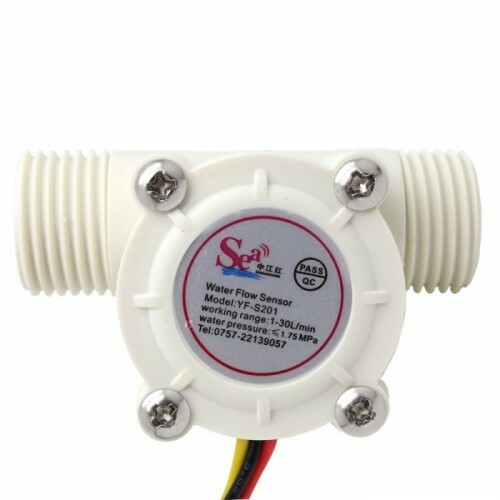 Flow meters have proven excellent devices for measuring water flow, and now it is very easy to build a water management system using the renowned water flow sensor YF-S201. For example you can make a robotic cocktail dispensing machine, and can use this sensors to accurately measure components like Soda, Water, etc. 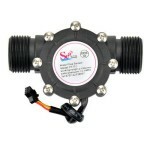 YF-S201 1/2" Water Flow Hall Sensor sits in line with the water line and contains a pinwheel sensor to measure how much water has moved through it. There is an integrated magnetic Hall-Effect sensor that outputs an electrical pulse with every revolution. 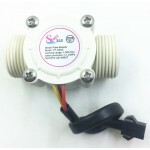 YF-S201 1/2" water flow sensor has only three wires and it can be easily interfaced between any microcontroller and Arduino board. It requires only +5V Vcc and gives pulse output, the sensor needs to be tightly fitted between water pipeline. 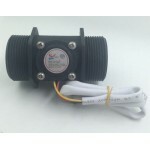 YF-DN40 1.5 inch Industrial Water Flow SensorYF-DN40 is a plastic body water flow sensor that contai..
YF-G1 DN25 1 inch Water Flow SensorYF-G1 DN25 1 inch Water flow sensor used for flow measurement it ..
Water flow sensor SEN-HZ21WI SEN-HZ21WI Half inch Brass water flow sensorNow easily measure w..